Overall, Manchester Terriers are a relatively healthy breed. Because they are not overly popular they have not been indiscriminately bred for profit and most Manchester breeders are very conscientious when it comes to health. Even so, before purchasing a puppy be sure to ask the breeder about their lines, experience, health testing and health guarantee. Check out our Puppy Buyers' Guide for a list of questions you may find helpful when talking to breeders. The following overview encompasses health problems Manchester Terriers may be predisposed to. Note, however, that these diseases and conditions do not necessarily affect Toy and Standard Manchester equally. For more detailed information on Manchester Terrier health, including findings and statistics from CMTC research projects, please visit our Health Research pages. Von Willebrand's Disease (vWD) is a bleeding disorder common in a number of breeds, including Manchester Terriers (both standards and toys), Doberman Pinschers, Scottish Terriers, and Shetland Sheepdogs. An inherited deficiency of one of the 13 clotting factors of the blood, vWD is quite similar to hemophilia but can appear in either males or females. A genetic marker has been identified for vWD in Manchesters, meaning breeders are able to plan breedings to ensure that no affected dogs are produced. Ask your breeder about the genetic status of any puppy you are considering purchasing. 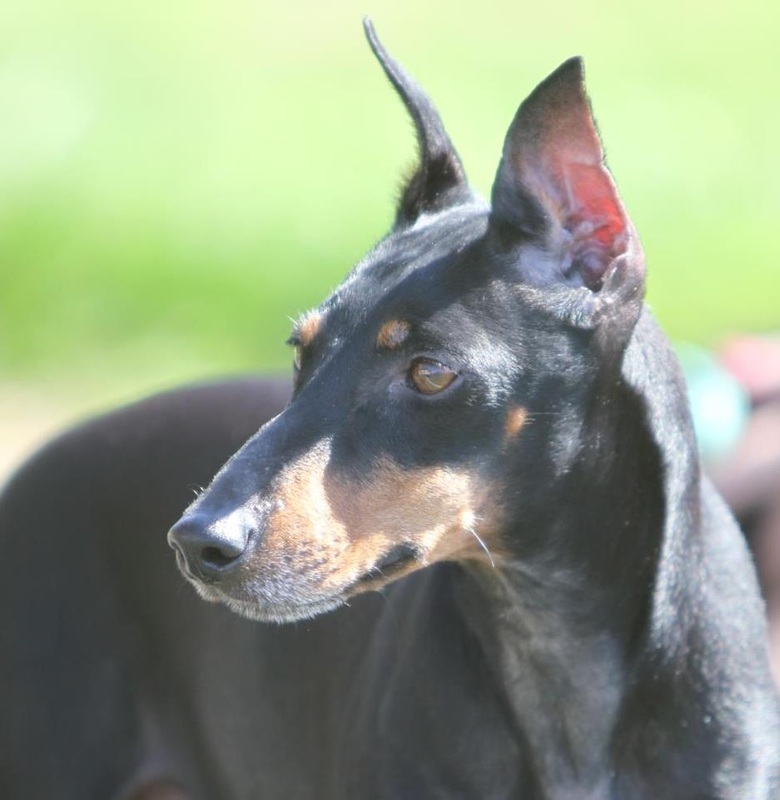 A common and serious genetic problem in purebred dogs, hypothyroidism is seen in both Toy and Standard Manchester Terriers (as well as most other breeds of dogs). The disease results from the impaired production and secretion of thyroid hormone, which is responsible for a number of important functions including regulating metabolism. Hypothyroidism causes a wide variety of symptoms, but is often suspected in dogs that have trouble with weight gain or obesity, hair loss, skin problems or temperament changes. Hypothyroidism is easy to diagnose with a blood test that checks the level of various thyroid hormones and can often be regulated with synthetic thyroid medication. Leggs-Calves Perthes occurs when the bone that makes up the ball portion of the hip is damaged from a lack of blood supply. The femur head is no longer able to receive nutrients from the blood and the bone cells begin to degenerate and die off. Eventually, the overlying cartilage may collapse. Sometimes called the Toy dog's hip dysplasia, this condition is seen in Toy Manchesters but rarely, if ever, in Standard Manchesters. Legges-Calves Perthes shows itself most often as lameness in one rear leg, although it can occur in both rear legs and sometimes appears shortly after an injury. Pain may be mild to very severe as some dogs have mild forms of this condition, requiring minimal medical treatment, while others have more pain and deformity of the hip joint requiring surgery. Affected dogs can begin showing symptoms from four months to one year, though the most common age of onset is 6-9 months. An x-ray will confirm the presence of Legges-Calves Perthes and muscle atrophy of the affected leg is not uncommon. 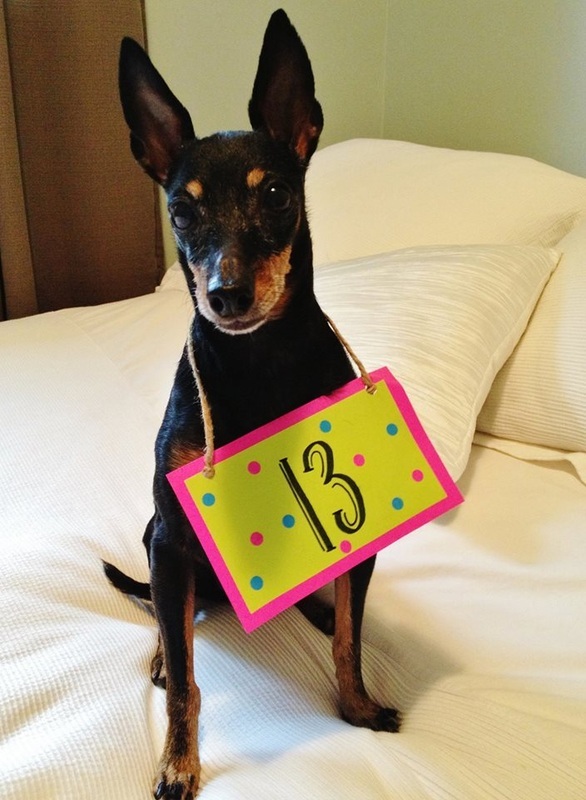 Juvenile Cardiomyopathy is a heart problem affecting young Toy Manchester Terriers. While the problem was once fatal, after more than 10 years of study lead by the Canadian and American Manchester Terrier Clubs a genetic test was identified in 2017 allowing breeders to 100% screen for and prevent the problem. Click here for more information on this research project. Pattern baldness is a gradual, symmetric thinning and loss of hair (alopecia) that usually begins by 6 to 9 months of age and progresses slowly until the affected areas are completely bald. Areas of hair loss are not itchy but may become darkened and scaly over time. In the most common syndrome, dogs experience hair loss around the temples, underneath the neck, on the chest, abdomen and back of the thighs. Males may also experience hairloss on their ears. There is no treatment to reverse hair loss and affected animals do not experience any discomfort. Pattern baldness is seen equally in Toy and Standard Manchester Terriers as well as several other breeds, including Dachshunds, Boston Terriers, Chihuahuas, Whippets, Greyhounds and Italian Greyhounds. Cyclic follicular dysplasia, or seasonal alopecia, causes bilateral hair loss and hyperpigmentation (usually in the form of black flecks on the skin) of the flanks. Hair loss is most common through the winter months and most affected dogs will regrow coat in the summer, although the hair may be different in colour or texture. Treatment with melatonin may result in hair regrowth sooner, so it is thought that the amount of daylight influences this condition. Dogs are most affected between the ages of two and four years. Seasonal Alopecia is seen in both Toy and Standard Manchester Terriers as well as in Airedale Terriers, Bulldogs and Boxers. The CMTC/AMTC 2002 General Health Survey provided information on the health of over 1,300 North American Manchester Terriers. The survey identified the most common non-infectous diseases affecting the breed, which are listed to the right. The percentages indicate the number of cases reported relative to the sample size. In almost all cases, the number of affected Manchesters was average or low when compared to similar studies in other breeds. Complete survey results can be viewed here.